The Demon Shield Vest have been totally re-designed. Keeping true to form we searched for materials and padding to protect you best and offer terrific mobility and function. The front of the Shield offers impact resistance with plush foam cut in multiple shapes to mimic the movement of your body. This keep the pads in place while your actively moving. 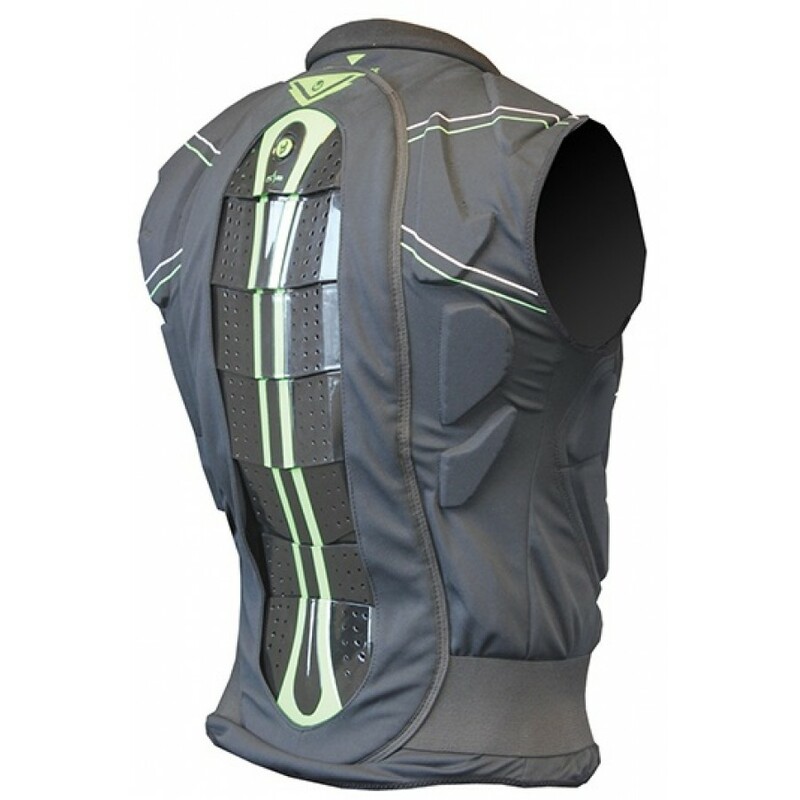 The padding reaches under the arms to provide some protection on the rib cage area. The back of the Shield have ultra strong polymer layers that function as a hinge allowing for movement and protection against some of the hairiest falls you might encounter. 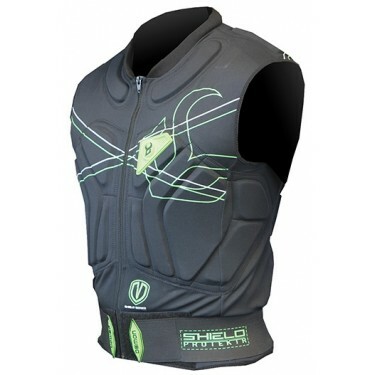 If your looking for serious core protection the Shield Vest will treat you right. 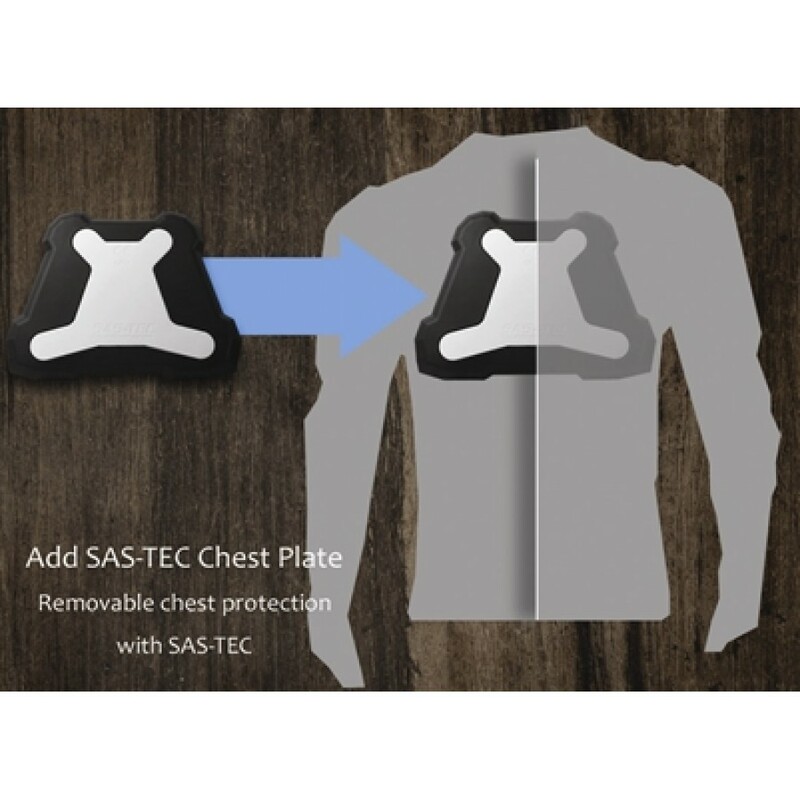 Ultra low profile spine guard.